Expected ship date Tue Aug 27 2019. The JamMan Stereo offers true stereo looping with 35 minutes of built-in memory. Just plug in and start looping! JamManager™ is a free software application developed and built by DigiTech™ for your PC or Mac. With JamManager you can transfer your loops from your JamMan Solo, JamMan Solo XT, JamMan Stereo, and JamMan Delay to your computer and vice-versa. It is available from www.digitech.com. The JamMan® Stereo can record directly from an MP3 or CD player. This feature is useful for learning and practicing new songs as well as creating backing tracks. Loop Phrases can be stopped in three ways after the Tempo/Stop footswitch is pressed:• Stop: Stops the phrase immediately when Stop is pressed.• Finish: Finishes playing to the end of the phrase and stops after Stop is pressed.• Fade: Fades the phrase volume to 0 over a 10 second period and then stops after Stop is pressed. Time Stretching a loop is a very useful feature in case the band is playing slightly slower or faster than normal or you just want to change the pace of a backing track slightly. You can Time Stretch a loop while stopped or during playback. The Rhythm Output isolates the rhythm guide track from the left and right outputs and provides a mono mix of the JamMan® Stereo’s looped audio. This is useful for someone like a drummer in the band who needs to follow a click track but also wants to hear the looped audio. 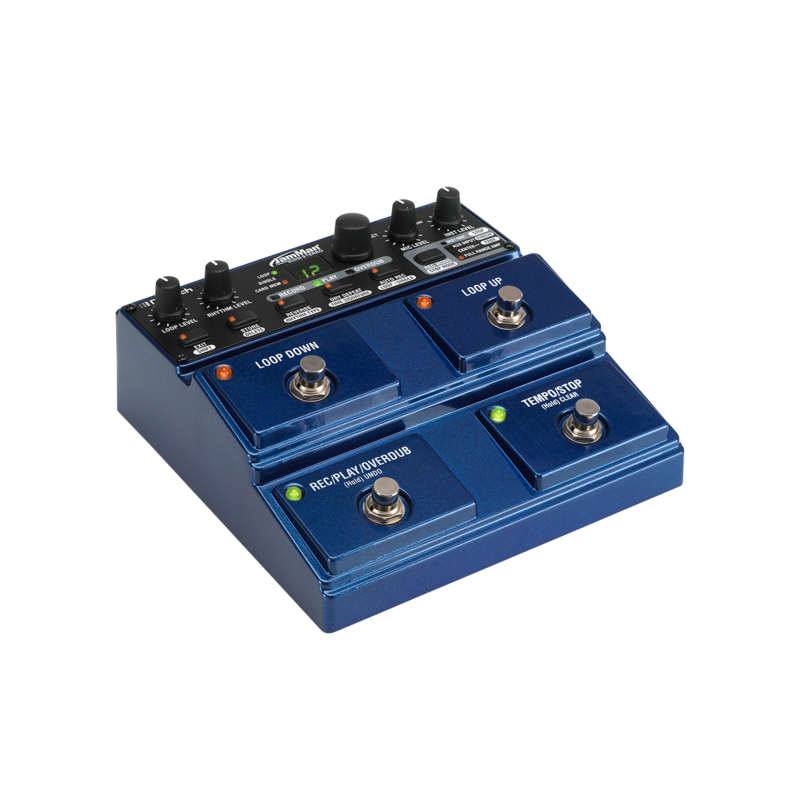 When we developed the PDS 8000 looper pedal over twenty years ago, it looped eight seconds of audio. When we reinvented loopers in 2005 with the original JamMan®, over 6 hours worth of material could be stored on a removable media card. 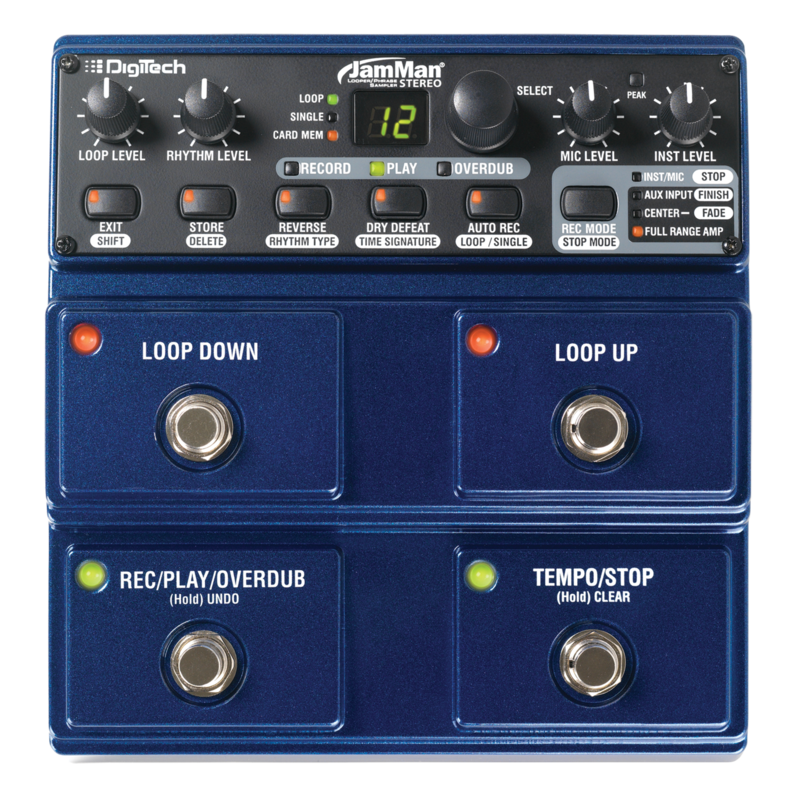 Now, DigiTech® has raised the bar with the new JamMan Stereo Looper with the ability to store 35 minutes of CD-quality loops in 99 internal memories as well as having an SD memory card expansion slot giving you the ability to store over 16 hours* of material in an additional 99 slots. The JamMan Stereo also features true stereo looping, reverse playback, and a mic input making it perfect for backing tracks or DJ applications. 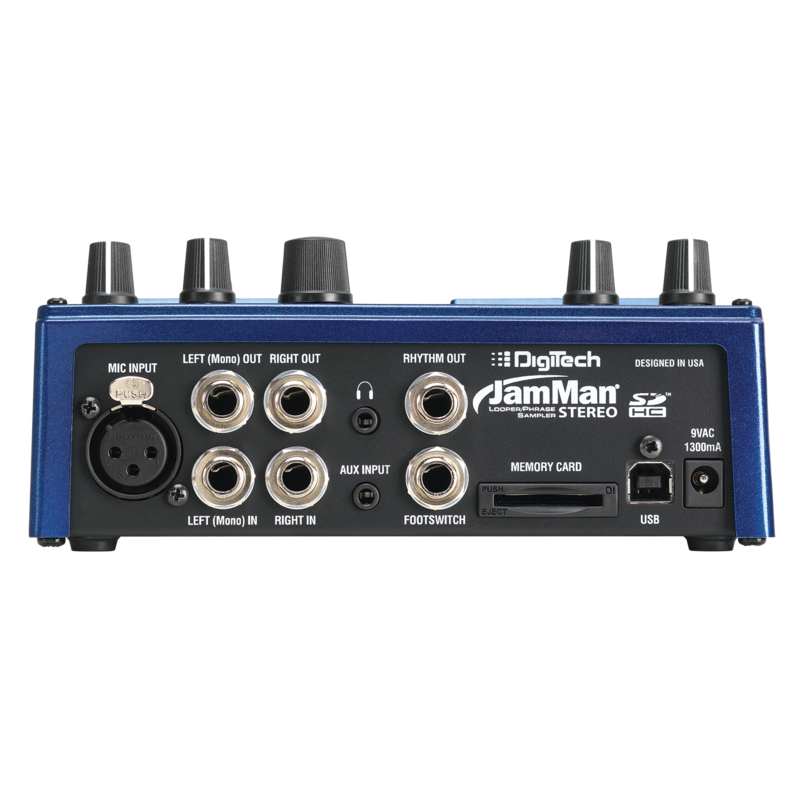 The JamMan Stereo features USB connectivity and will sync to DigiTech's free JamManager™ software that organizes and saves your JamMan Stereo loops to PC or Mac. JamManager also lets you quickly create custom JamLists to take to your gig.